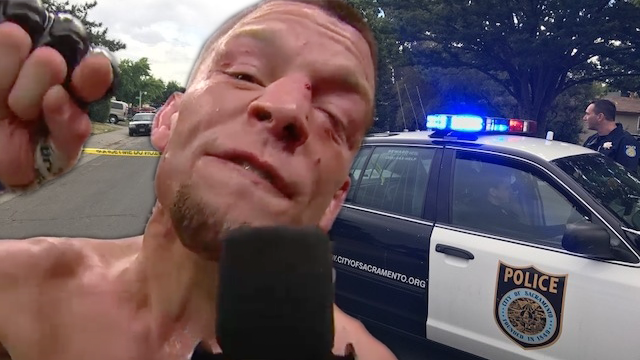 While UFC fans await to see Nate Diaz back in the Octagon, Sacramento police may be seeing Diaz before anyone. According to Marc Raimondi of MMA Fighting, the Sacramento sheriff is currently investigating an alleged incident between Diaz and Clay Guida. The alleged incident took place during an Combate Americas that took place last week at the McClellan Conference Center in California. According to Raimondi, officers came to the event and took an incident report from Team Alpha Male’s Clay Guida who is accusing Diaz of battery. According to Guida’s manager, Diaz pushed Guida from behind during the incident which caused him to split open his lip after hitting a guardrail. 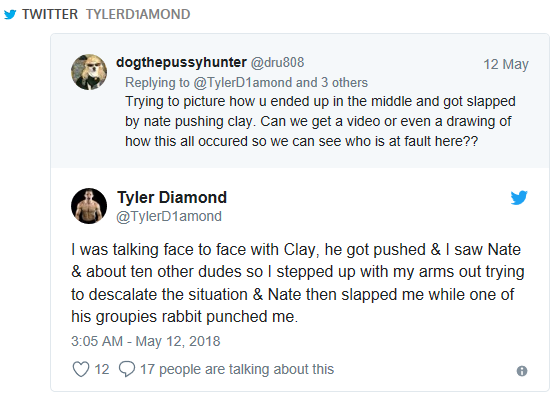 Guida’s manager wasn’t the only one to talk about what happened, as Tyler Diamond, a training partner of Guida, took to Twitter to give his side of what happened. 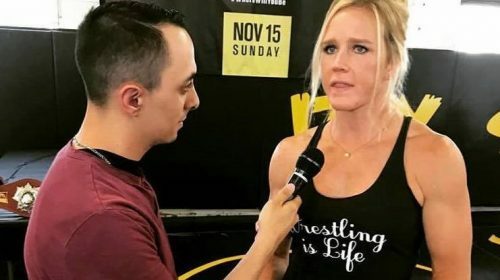 MMA Fighting reports that a detective will now be assigned to the incident and the sheriff’s department will open up an investigation on what happened. According to a sheriff spokesperson, if it’s confirmed that an assault took place, a warrant request will be completed and it’ll be up to the District Attorney as to whether or not anything will be filed. Guida has a victory over Diaz dating back to UFC 94 and called out his former opponent earlier this year, although nothing came from it. While he didn’t get the fight against Diaz, Guida is currently scheduled to fight Bobby Green at UFC 225 in Chicago on June 9. Footage shot by @foxwithya give her a follow here https://twitter.com/foxwithya You wont be disappointed!